A great quality, affordable lightweight machine, this Paceman cricket bowling machine is PERFECT for the young cricketer. Up to 80kmph speed and the ability to produce inswing and outswing deliveries simply by adjusting the head angle. Please use Paceman bowling machine balls with this machine. This Paceman bowling machine is a perfect training aid for batsmen of all levels. 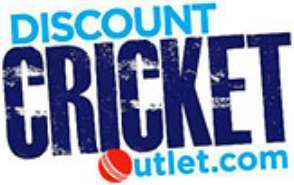 Whether club cricketer, county colt or budding professional the most affordable bowling machine on the market will help you transform or perfect your game. PLAY AT HOME - The Pitch Attack allows players of all ages to work on their game in the garden. REALISTIC SIMULATION - Producing speeds of over 80kph, and Inswing and Outswing delivery functions. UK MAINS POWERED - Can also be used with battery pack for portable usage. GREAT PACKAGE - Automatic 6-ball feeder and 1 x Paceman ball included.